Great job! You officially know enough about ancient Greece to call yourself a muse. The muses were the personifications of knowledge, wisdom, and the arts. Sound familiar? It’s you that we have to thank for all the knowledge that came out in ancient Greek poetry and myths. Congrats! You’re Coeus, Titan of Knowledge! Fantastic! You know so much about life in ancient Greece, you’re essentially the modern embodiment of Coeus, the Titan of knowledge. While you might not be as well-known as some other Titans or gods, you’ve nevertheless left one big impression with your understanding of ancient Greek literature, mythology, and history. Way to go! Stupendous! Your understanding of ancient Greece is so impressive that you have to be the modern incarnation of Zeus himself! Only the embodiment of the King of the gods could know so much about what it was like in ancient Greece—not to mention your knowledge of the goings-on of gods and other mythological creatures. All hail Zeus! 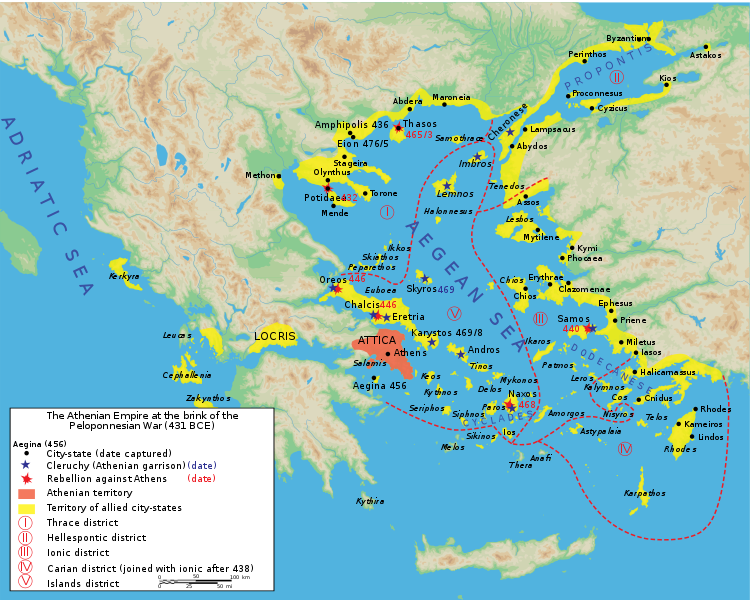 What were the largest population centers in ancient Greece called? Ancient Greece was comprised of a number of large city-states, made up of a central city and the territories that surrounded it. What was the most important city-state in ancient Greece? 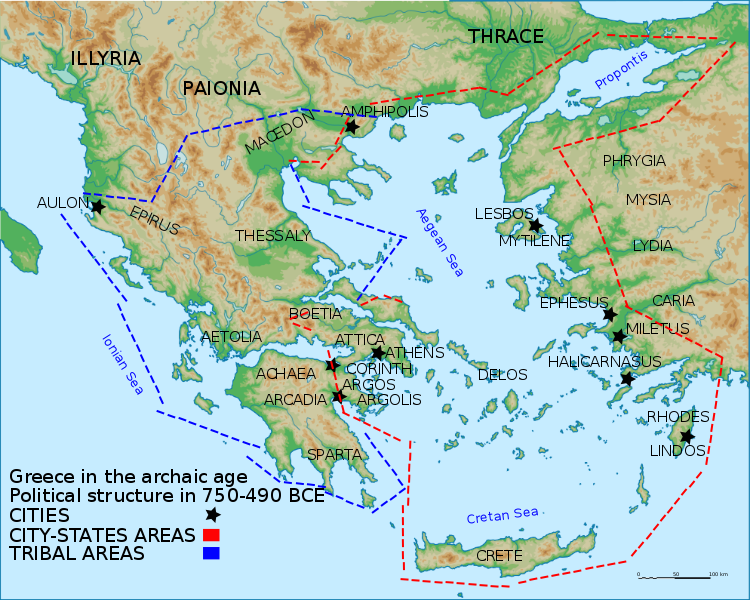 Ancient Athens was the major urban center in ancient Greece, home to the most notable ancient philosophers, often referred to as the cradle of Western civilization. 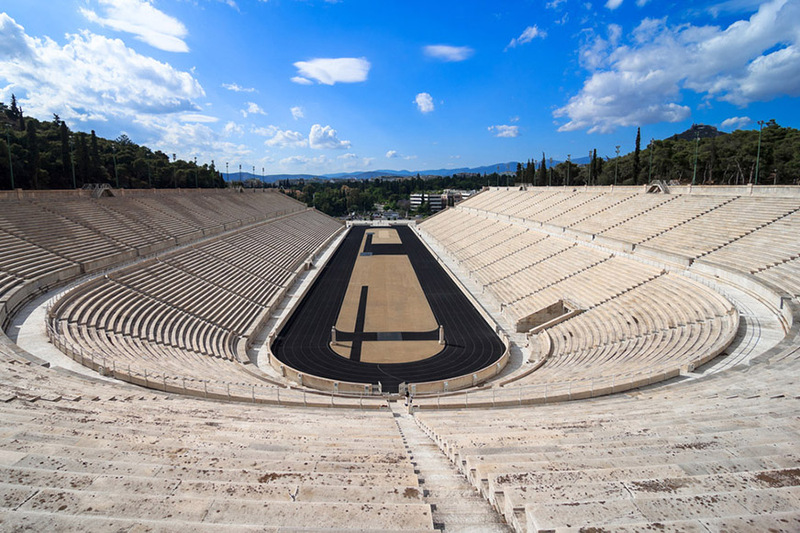 Which massive sporting event was invented by the ancient Greeks? 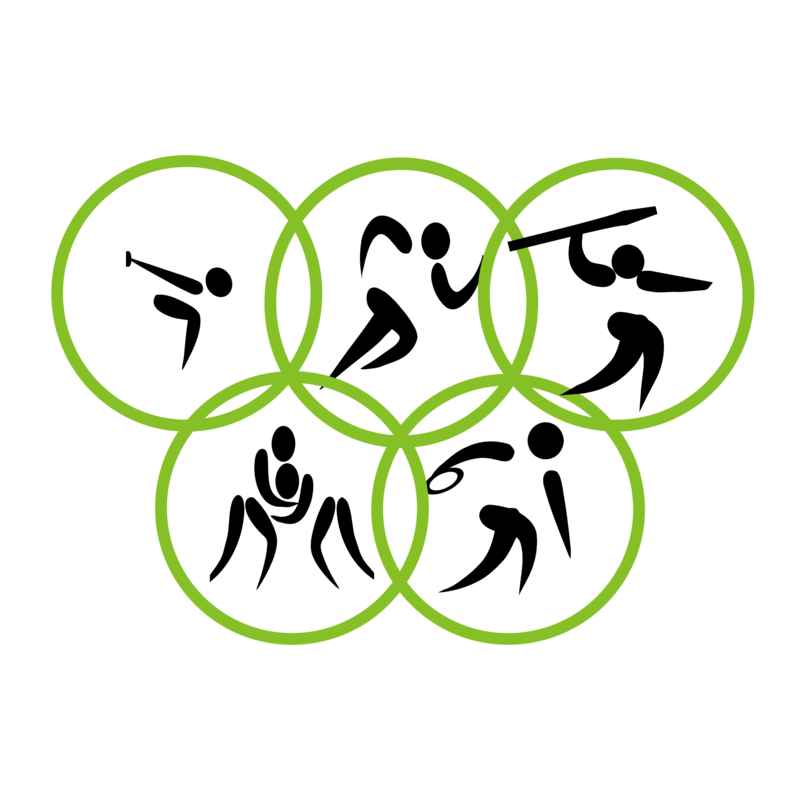 The first Olympics were held in 776 BC, in honor of Zeus. It was originally just a festival in honor of the god, and later, some athletic events were added. 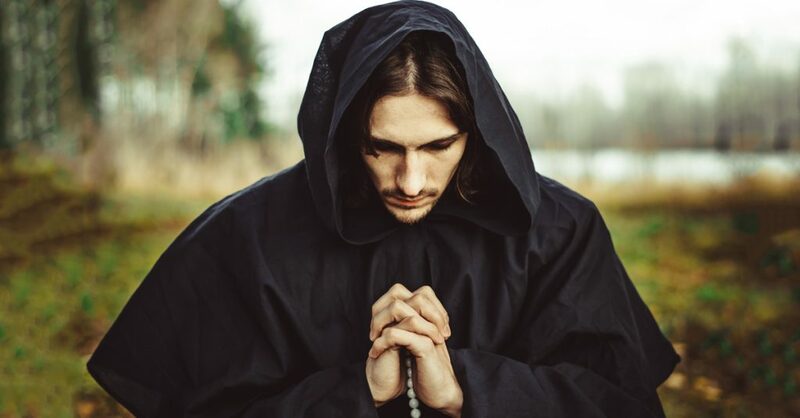 The games were held every four years until the fourth century AD, when a Roman emperor canceled them in an effort to push Christianity as the state religion. 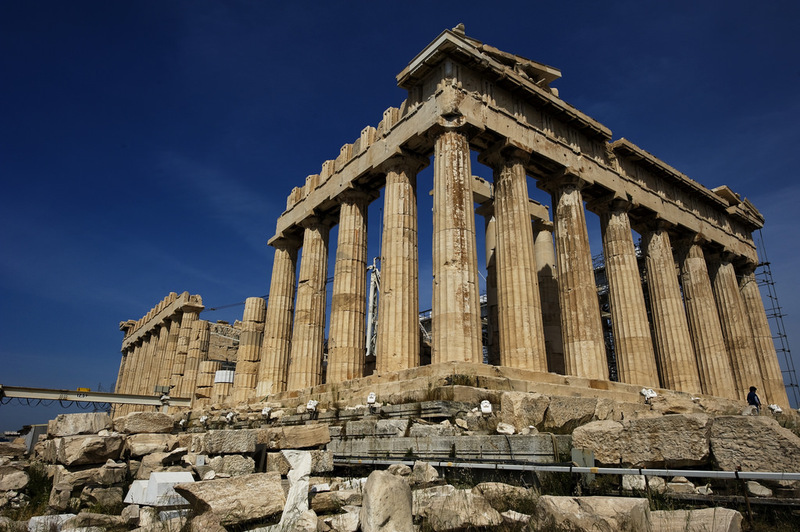 Which system of governance originated in ancient Greece? 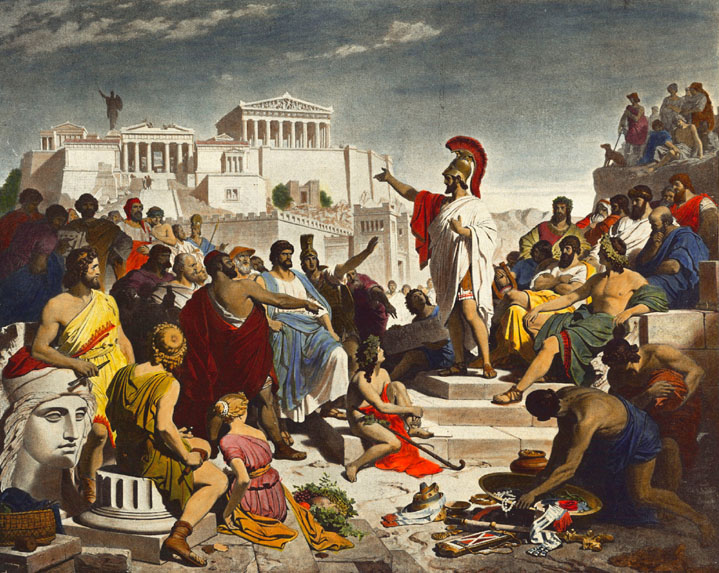 Democracy found its origins in ancient Greece. The word is made up of “demos,” for people, and “kratos,” for strength. Ancient Greece’s democratic government, the first in the world, lasted less than 200 years. What is the name of the Greek philosopher and mathematician who came up with a common rule for measuring the sides of a triangle, still taught today? 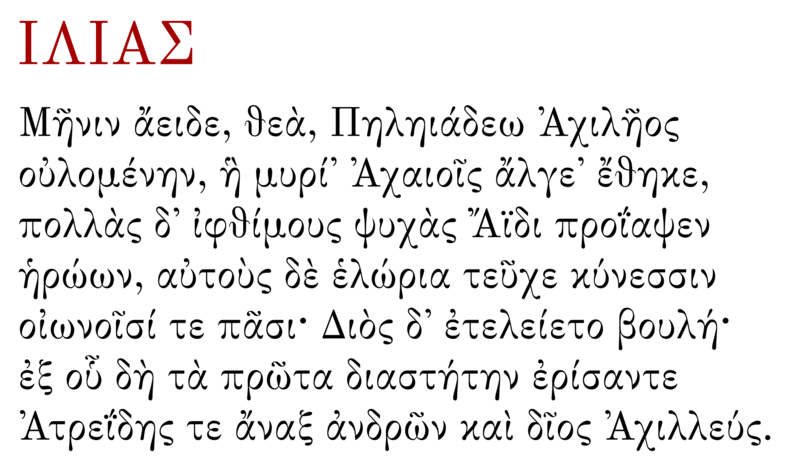 The Pythagorean theorem, used in geometry to express the relation of the three sides of a right triangle, was originated by Pythagoras, whose teachings were extremely influential on other remarkable Greek philosophers. 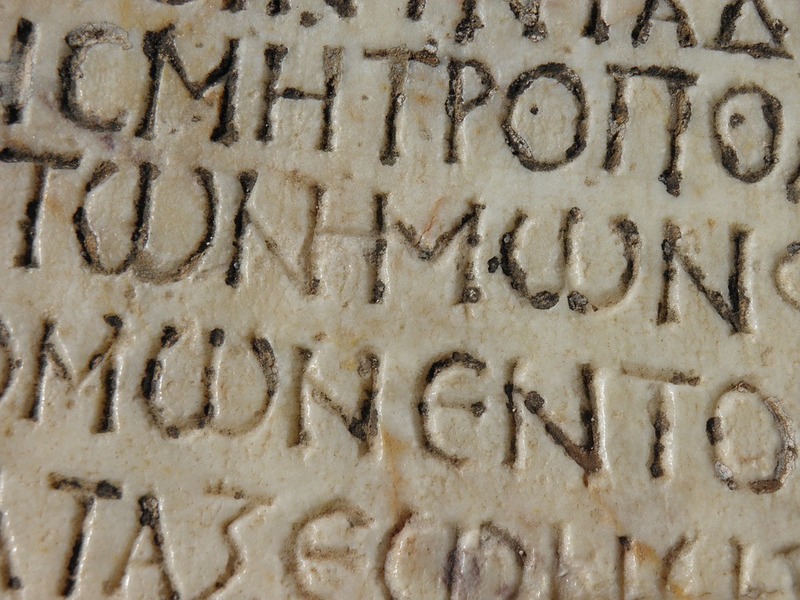 What was the name of the gathering place for residents of an ancient Greek city? What ancient Greek city-state was best known for its fierce warriors, immortalized in the movie 300? This… is… SPARTA!!! Sparta was the foremost military land-power in Greece and became the leading force in major wars fought by Greece during its apex as a power in the region. What famous foe did the Greek city-states, led by the Spartans, face during the 5th century BC? 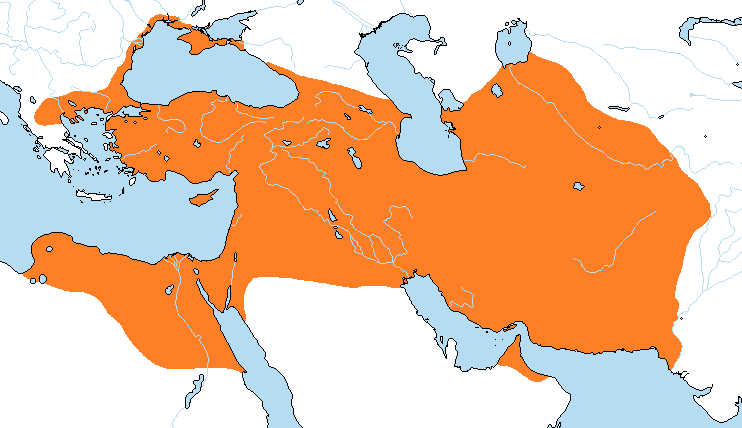 The Greco-Persian Wars were a string of conflicts between the Greek city-states and the First Persian Empire, often referred to as the Achaemenid Empire. They lasted from 499 BC to 449 BC. The ultimate result was a Greek victory, no doubt thanks to the military talent of the Spartans. Which Greek god was regarded as the king of the gods? Zeus was the sky and thunder god, and was also seen as the leader of all the other gods—that didn’t stop them from frequently rebelling and plotting against him in the name of good drama, though. 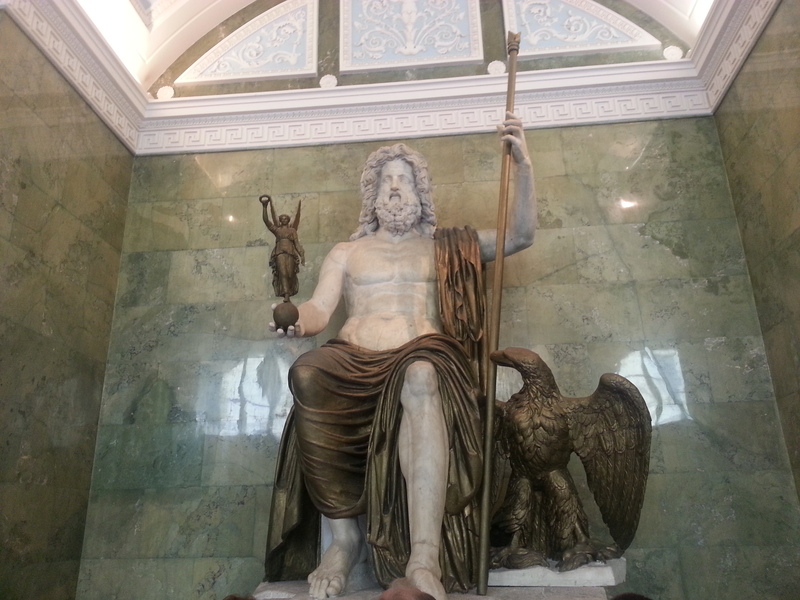 Which of Zeus’ children was born by bursting forth out of his forehead? Athena was the goddess of wisdom and warfare, and fittingly for those titles, was born from her father’s head. 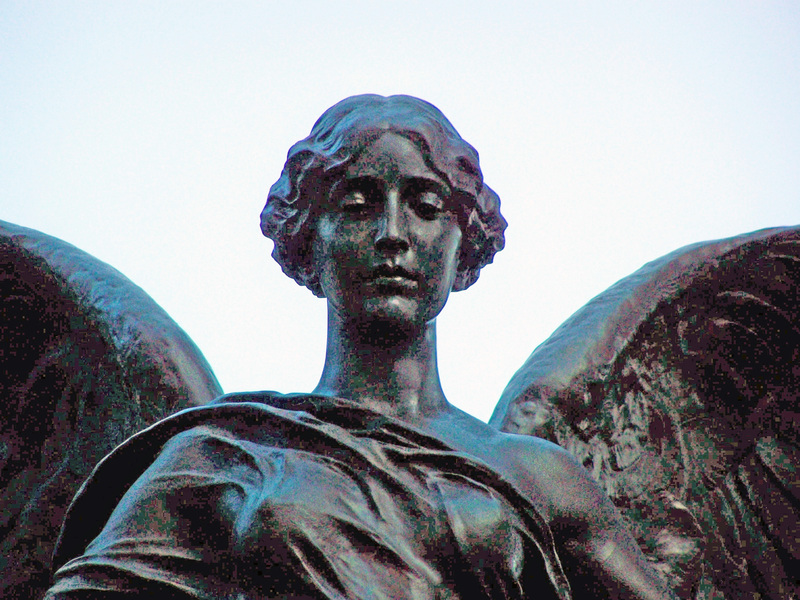 She was the patron saint of the city-state of Athens. 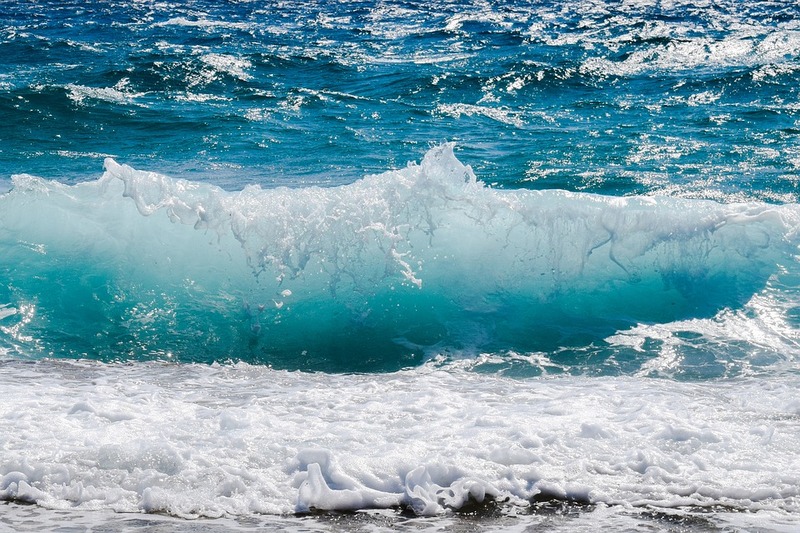 Who was the Greek god of the sea? In addition to being the god of the sea and bodies of water, Poseidon was also the god earthquakes and horses. Sailors and any other seafarers in ancient Greece regarded him as their protector. 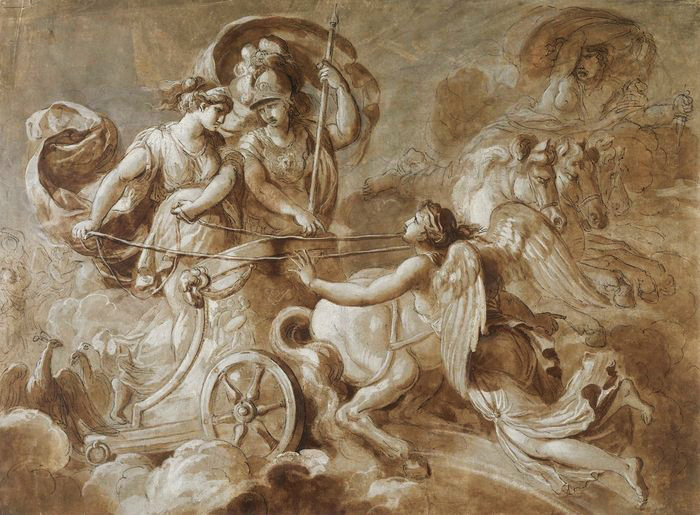 Which Greek epic poem tells the tale of a king’s long journey home after the Trojan War? The epic poem the Odyssey tells the tale of Odysseus’ 10-year journey home to Ithaca after the events of the Trojan War, and what happens in Ithaca to his wife and son in his absence. Who was the author of the Odyssey? Homer is the name of the poet who composed two of the most important works in ancient Greek literature: the Odyssey and the Iliad. 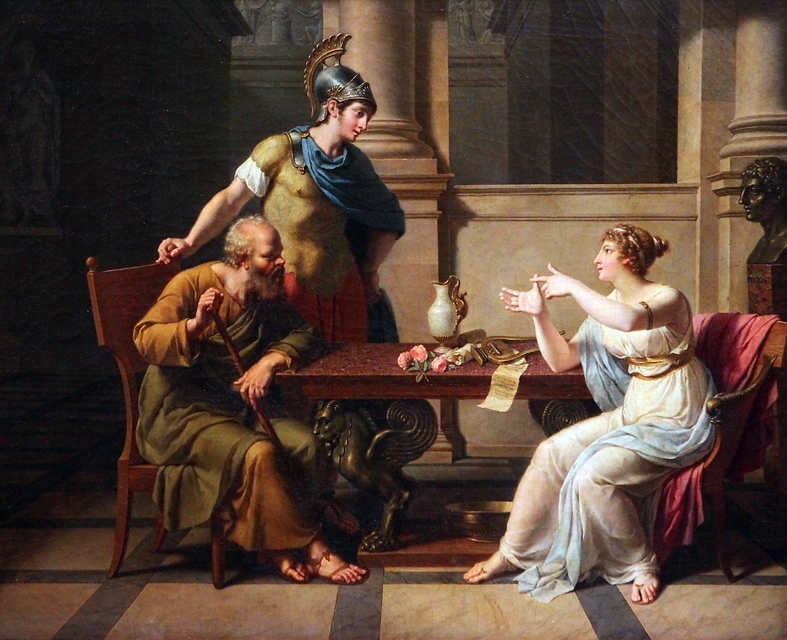 Scholarly debate continues to this day regarding his identity and just how big of a role he played in the authorship of both texts, with many considering “Homer” himself to be less of a single author and more of a group of writers who worked on the text over a long period, in a “Homeric” tradition. Which mythic figure is a central character in the Iliad, known for a particular weakness in the foot area? 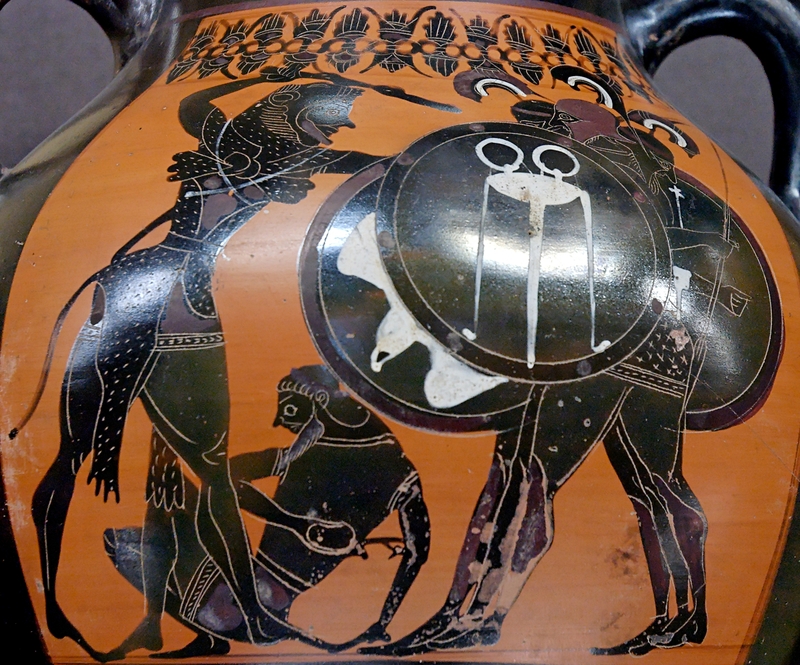 When we think of Achilles today, we may best remember him for his pesky heel, but he was a major player in the Trojan War and the epic poem about it, the Iliad. 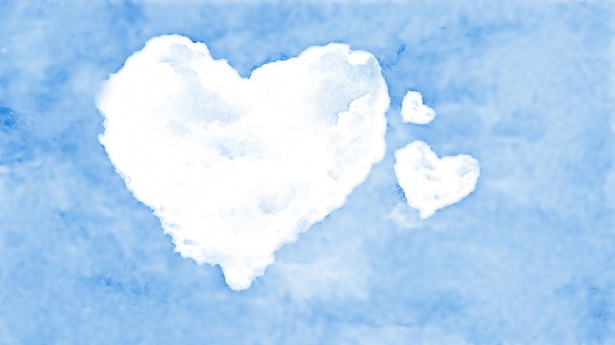 Who was the Greek god of love? Ol’ mighty Aphrodite was the perhaps the most fun of the Greek gods—in charge of love, beauty, pleasure, and procreation. As the ancient Romans formed their own religion, Aphrodite morphed into the goddess Venus. What were the half-men, half-horse creatures of Greek mythology called? 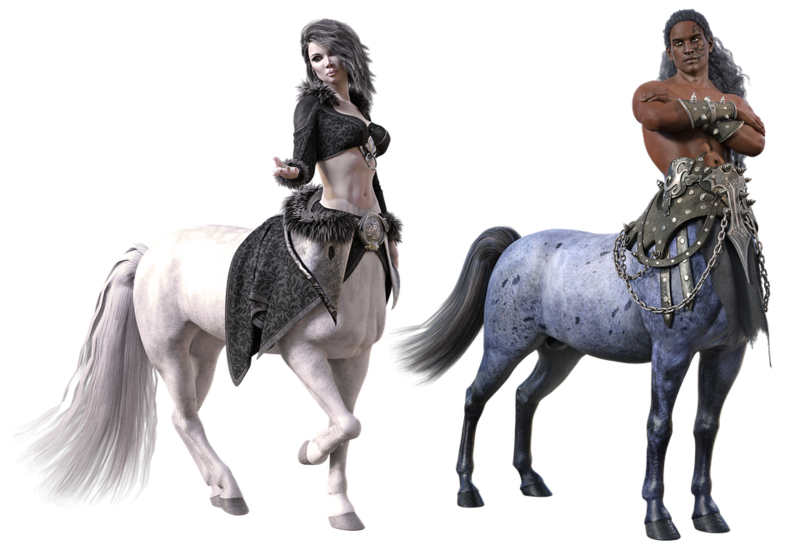 Centaurs were the name given to the half-men, half-horse creatures who were said to have lived in the forests of Thessaly. What was the name of the king of the underworld? The god of the underworld was named Hades, and eventually his name came to refer to the underworld itself. He, Zeus, and Poseidon were all brothers. What is the name of the most famous Greek hero, the son of Zeus and a mortal woman? Heracles, often spelled Hercules, was considered one of the greatest Greek heroes, and is probably the most well-known. He is the center of a myth called the Twelve Labors of Heracles, where he performed twelve tasks that granted him immortality. Which Greek city-state was a religious center known best for its famous oracle? 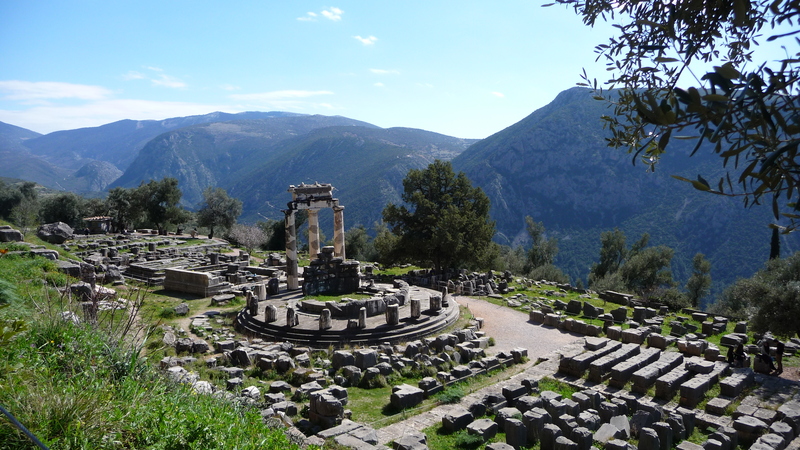 Apart from being home to the famous Oracle, Delphi was also a center for arts and education. It was in the geographic center of Greece. It was also home to another major athletic competition, the Pythian Games. 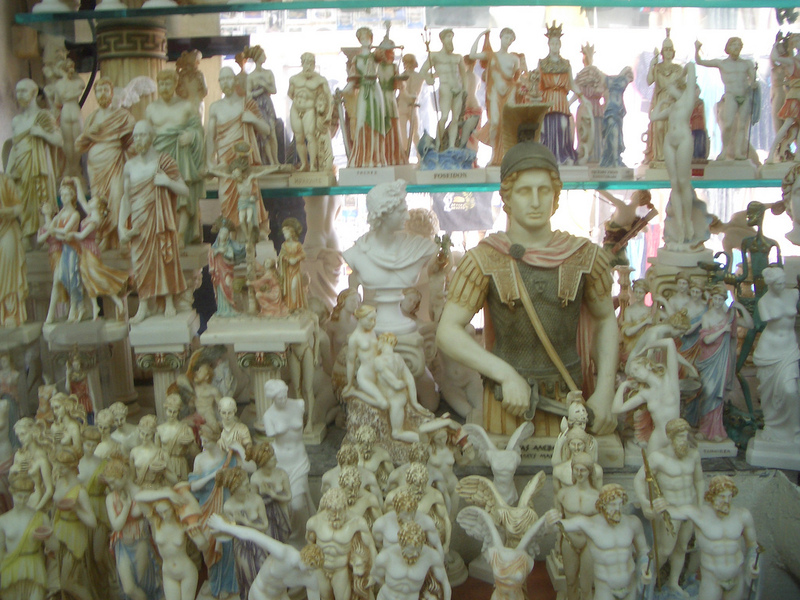 Which king of Greek mythology had a little problem involving items (and people) he touched? King Midas was said to have a golden touch. Many legends surrounded this gold-hungry king, who wished for great riches but paid the ultimate price. The city of Midaeum was most likely named after this (in)famous figure. 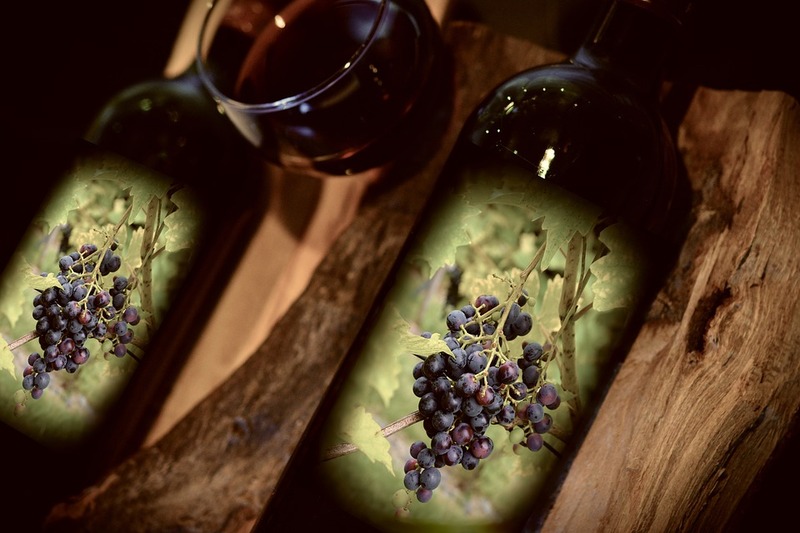 What is the name of the Greek god of wine? 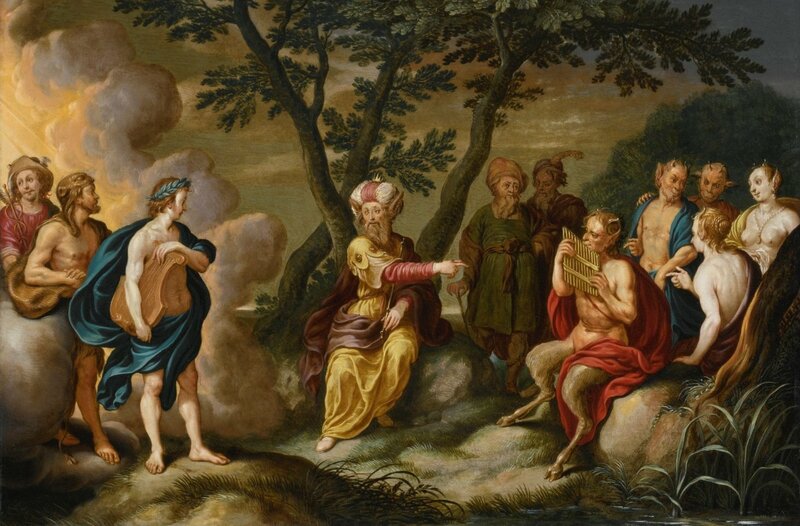 While Aphrodite had a desirable set of responsibilities as a goddess (love and pleaure), Dionysus might rival her and the ultimate “fun” god, as he was the god of wine, fertility, and ritual madness, among other things. He was basically the god who had all the ingredients for a wild, wild party. 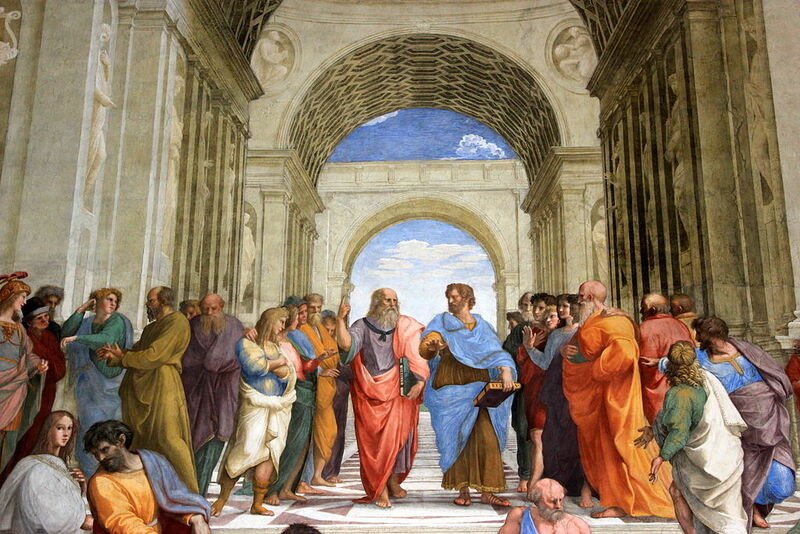 Which ancient philosopher, whose life was described in the works of Plato, was sentenced to death in 399 BC? Socrates is thought to be the founder of Western philosophy. He had no writings of his own, but because his ideas were recorded by Plato, they survive to this day and have been hugely influential on the Western philosophical tradition. What is the name of the Greek god of victory, who now lends their name to a brand of shoes? 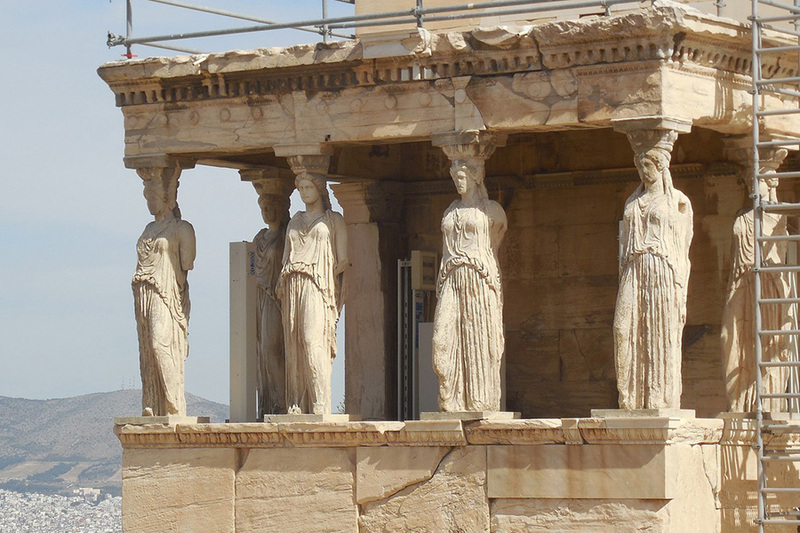 What is the name of the temple on the Acropolis in Athens, Greece, dedicated to the goddess Athena? The Parthenon was built between 447 and 432 BC in honor of Athena, and still (mostly) stands today despite sustaining some major damage in 1687 during the Great Turkish War. What was the name of the ancient Greek lawmaker whose name has come to be associated with particularly harsh and unforgiving rules and laws? What mythic war was sparked after a man named Paris kidnapped Helen, the wife of Sparta’s king? The Trojan War is one of the most important events in Greek mythology and was portrayed in both the Iliad and the Odyssey. While some scholars believe that some of the events told about the war could’ve actually happened, it’s generally regarded as being solely a myth. 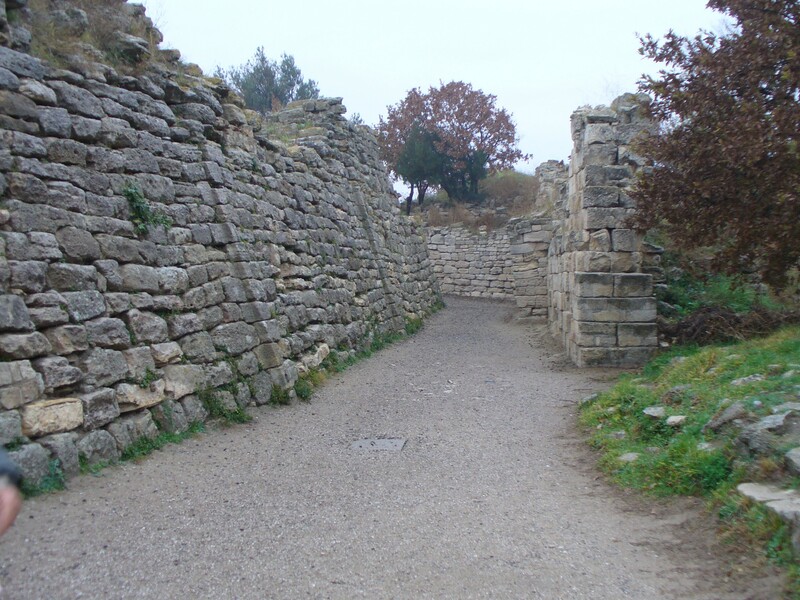 During the mythic Trojan War, what kind of large structure was built out of wood to create a ruse in order to breach the walls of the city of Troy? The Trojan horse is one of the most well-remembered legends about the Trojan War, where the Greeks hid themselves within the structure of a giant wooden horse and then pretended to retreat, fooling the Trojans into bringing the horse inside the city walls as a souvenir of their victory. 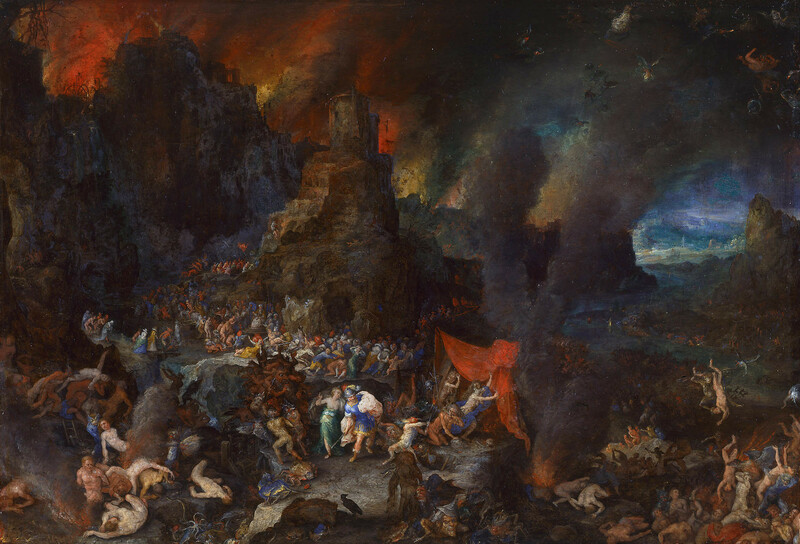 The tale is featured prominently in Virgil’s Aeneid, as well as the Odyssey. What was the name of the act under Athenian democracy whereby any citizen could be exiled from the city-state for a decade? 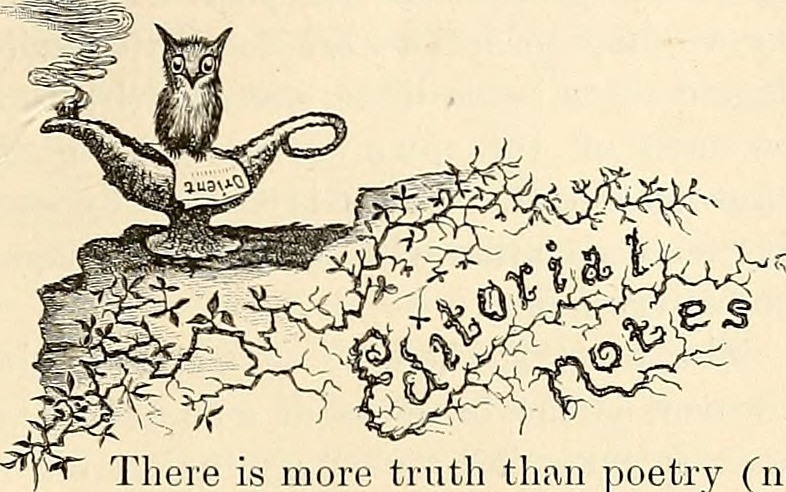 From “Ostracism” we get the modern word “ostracize”—to exile or banish. It was used less as a form of punishment and more as a pre-emptive strike against people thought to be a threat against the democracy or state. What substance was watered down in ancient Greek society, as consumption of it in its “stronger” state was thought to be barbaric? 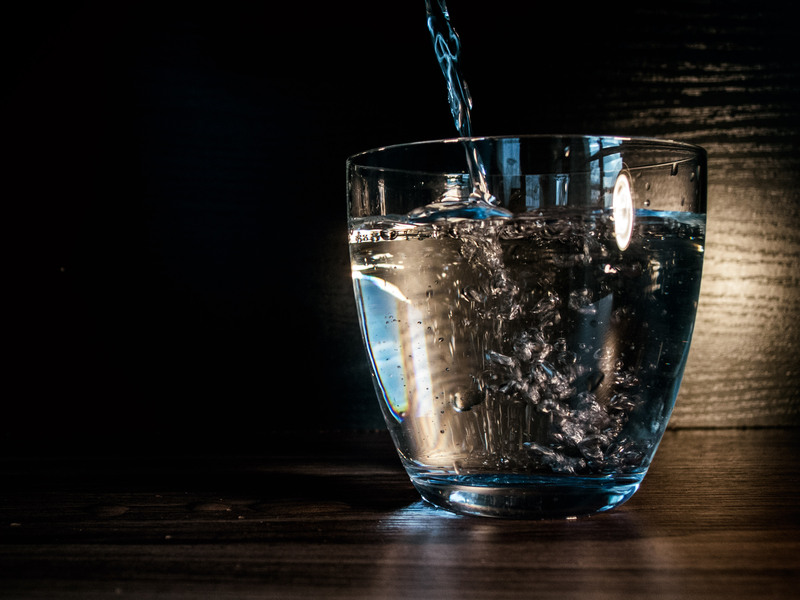 Water was mixed with wine at a 3:1 ratio in ancient Greece. If you did not want a proto-spritzer and wanted your wine straight up, your host might’ve raised an eyebrow and secretly thought you were a drunkard. To which I say listen buddy, I’m not at think as you drunk I am. Which of the following sports was NOT part of the ancient Olympic pentathlon? You guessed it—while fencing is part of the modern pentathlon, it did not feature in the ancient Olympic version, which also featured a javelin throw, a short foot race, and a hot dog eating contest. Oh wait, did I mess up again? How does anyone keep all these competitions straight? Ancient Greece was the cradle of Western civilization and the birthplace of democracy, but its mysteries are as great as its stunning advancements. From literature to mythology to history to philosophy, so much of what happened in Greece all those centuries ago continues to touch our society and culture today in ways we often fail to comprehend until we learn about it. Unless you’re a student of the classics, so much about ancient Greece, important as it is, is barely touched upon in school. So, how much do you really know about ancient Greece?